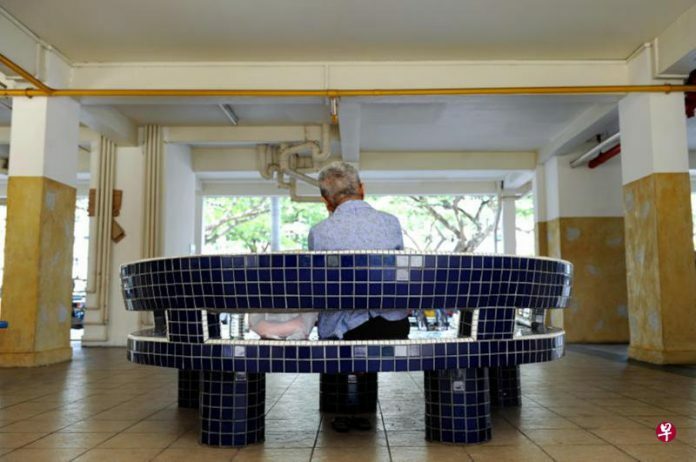 A writer for the Chinese daily recently shared the story of an elderly Singaporean, whom he has seen sitting alone at the void deck of a HDB block every day, for years. Curious to learn why the elderly man sits at the same stone bench every single day, the writer approached the man and made conversation. This is when he discovered that the elderly man is a stroke survivor who sits at the void deck so that someone might see him and help in case he suffers another stroke. Revealing that his family members work long hours and only return home at night, the elderly man recounted that he suffered a small stroke a few years ago when no one was home. Fortunately, a neighbour discovered what was happening and took him to the hospital. Describing the experience as “terrible,” the elderly man shared that he did not dare to be alone at home and so, sits in the void deck so that he can have a better chance of receiving timely help if he suffers another stroke. The elderly man, who was surprised that the writer is willing to talk to him, added that he has fewer and fewer friends as the years go by and shared that some of his friends have already passed on, while others are in homes or are battling dementia.